For sixty years Tiziano Vecelli was the undisputed mater of Venetian painting and the leading member of the Venetian School. He was employed privately and publicly to produce 100's of painting and lived well into his 90's. 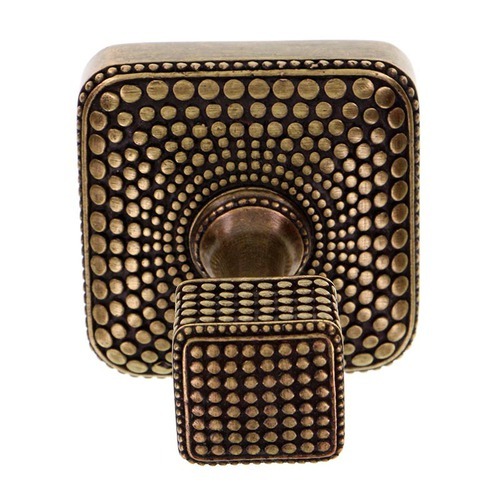 The Tiziano inspired line of fine pewter hardware is contemporary is style but enduring in design. Use the large hook in the kitchen, bathroom, hall entry or anywhere you need to hang a coat, robe or towel. Available finishes include Antique Brass, Antique Copper, Antique Gold, Antique Nickel, Antique Silver, Gunmetal, Oil-Rubbed Bronze, Polished Gold, Polished Nickel, Polished Silver, Satin Nickel and Vintage Pewter. Mounting hardware is included. 100% lead free pewter. Handcrafted in the USA.